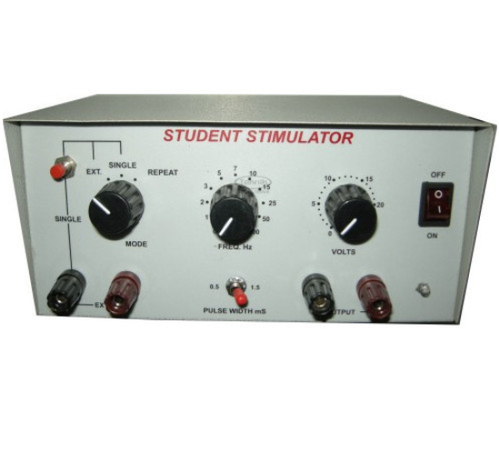 Exporter of a wide range of products which include digital student physiograph, student physiograph, electronic student stimulator and student physiograph equipment. for displaying online and offline recording data. Pulse, Respiration Belt and Isotonic). Facility to store recording data and review the same on TFT. Interface to the computer-Through USB. the recorded data from PC. Designed with light metal for compactness and lightness. IC technology hence gives trouble free service. 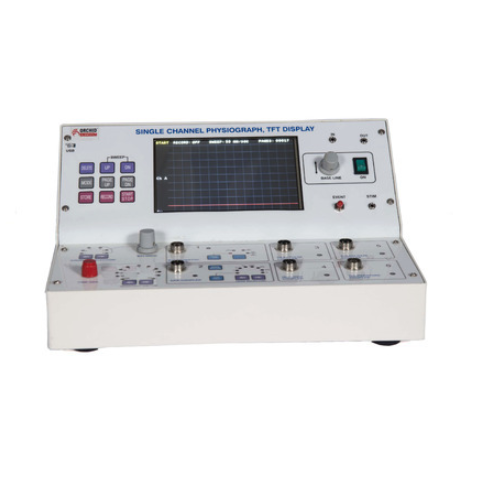 Pulse Width 0.5 or 1.5 ms Switch selectable. 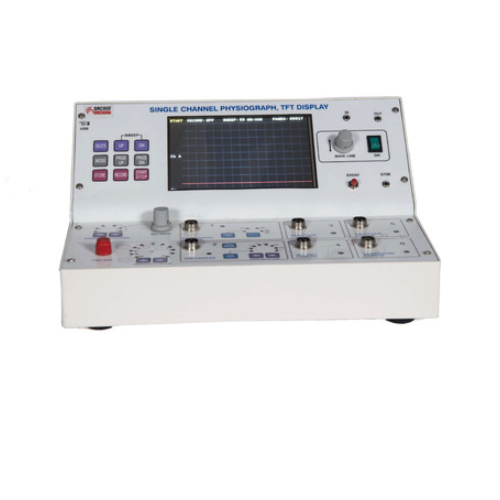 0.5, 1, 2, 3, 5, 7, 10, 15, 20, 50 & 100 Hz in 11 steps. 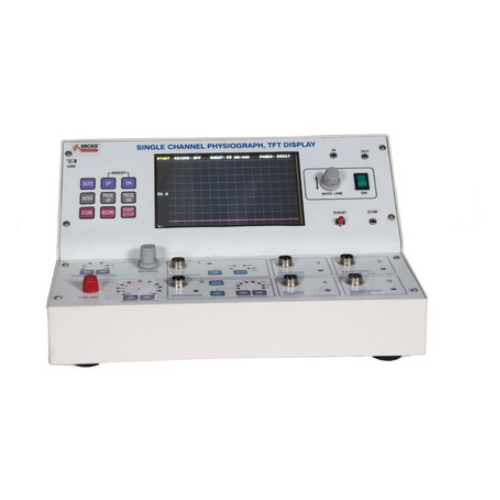 (two position 0-3, 0-30 volts vernier controlled.